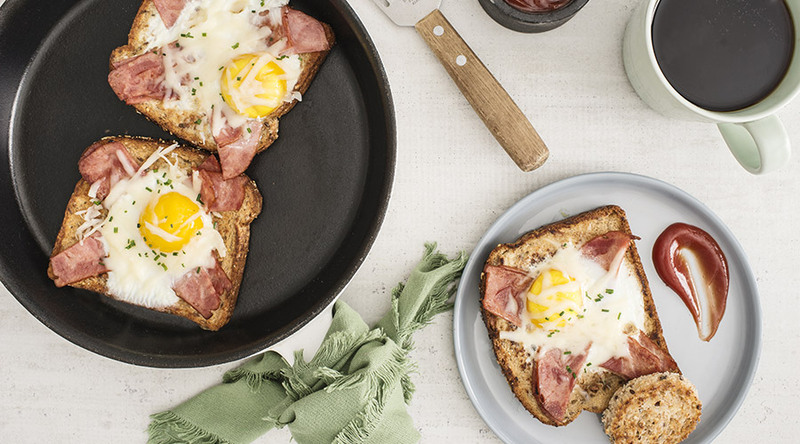 Eggs are nestled in buttery toast and bacon, then sprinkled with Swiss cheese for a satisfying breakfast. 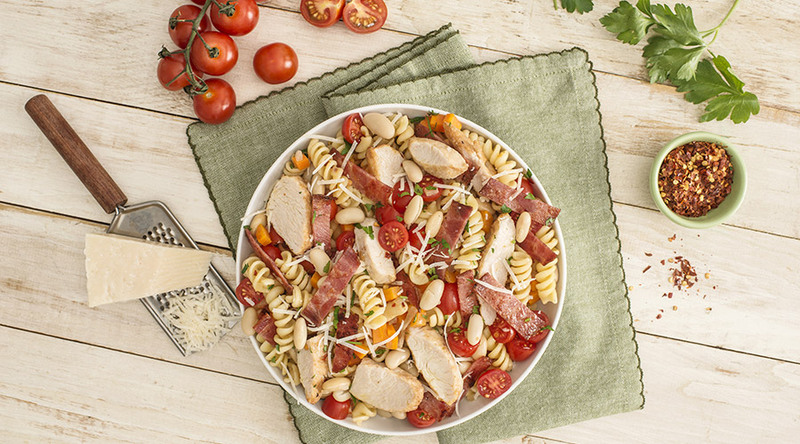 Heat oil in large nonstick ovenproof skillet set over medium-high heat; add Lilydale® Turkey Bacon slices and cook for about 4 minutes on each side or until browned and crisp. Transfer to paper towel–lined plate. Preheat oven to 450F (230C). Meanwhile, spread butter over both sides of each slice of bread. Using 3-inch (8 cm) round cutter, cut out centre from each slice of bread; set aside. Add bread slices to skillet; toast for 2 minutes. 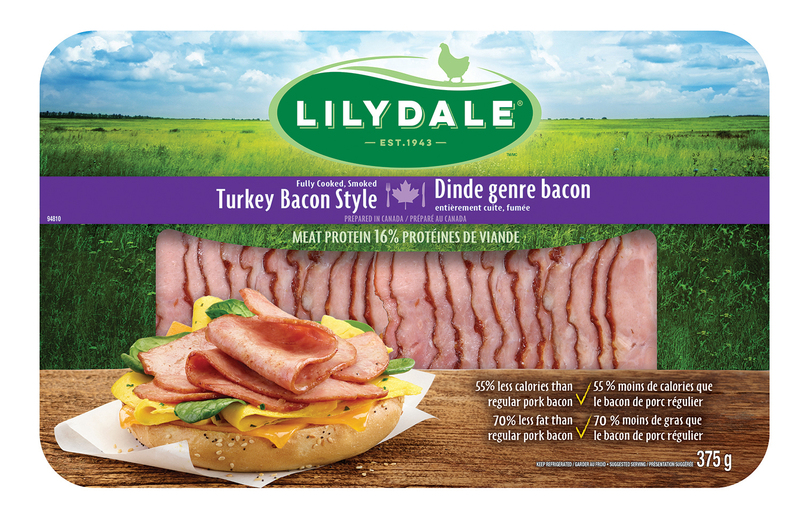 Flip bread over and arrange Lilydale® Turkey Bacon across bread to create an “x” and drape inside cavity. Crack egg into each cavity; season with salt and pepper. Sprinkle with cheese. Bake for about 5 minutes or until eggs are cooked to desired doneness and cheese is melted. Meanwhile, toast reserved rounds. 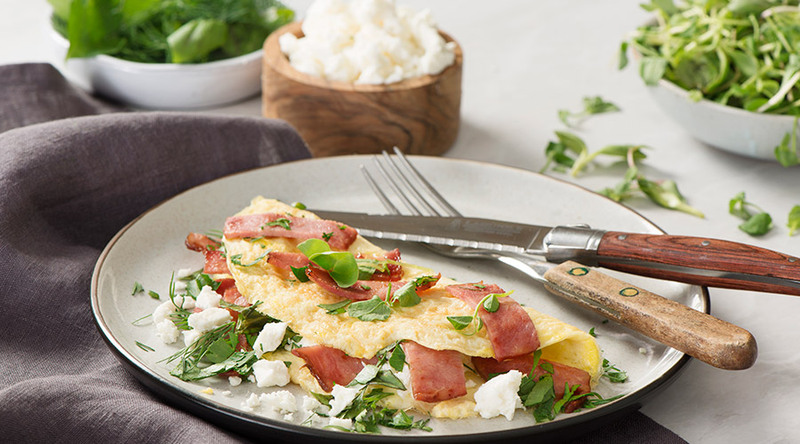 Sprinkle eggs with chives. Serve with toasted rounds. 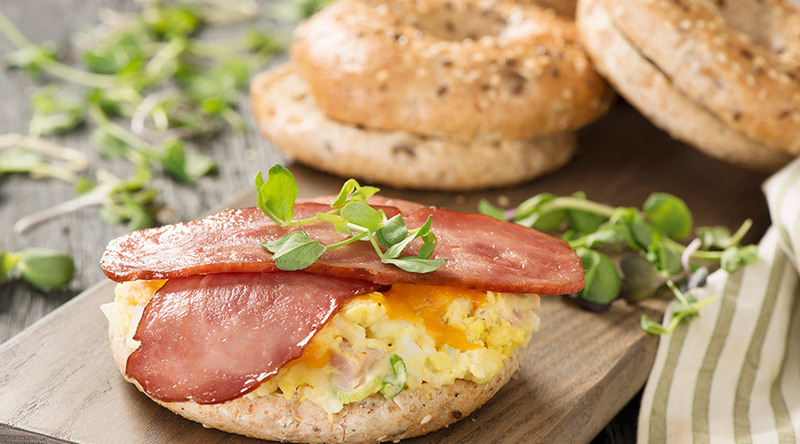 Use brioche or egg bread instead of whole wheat bread for a more indulgent breakfast. Substitute aged Cheddar cheese for Swiss cheese if desired.